Learn how to use this powerful feature to send to groups. 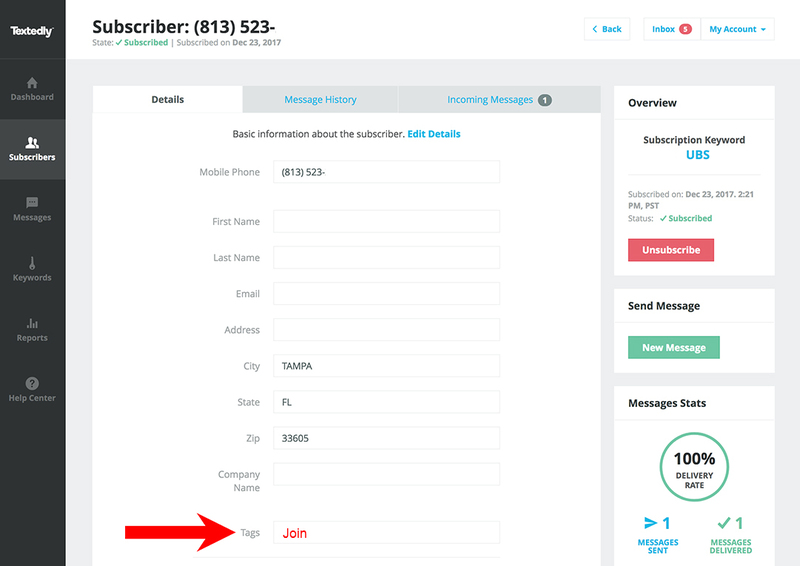 Tags is a powerful feature that will enable you to hyper target your Subscribers, and send your Text Messages to just a partial list of Subscribers. Example, if you have 5,000 Subscribers, but only want to send to 500 of them who are in a geographical location, you can do that with Tags. A Tags can be added to any Subscriber's information profile page. Then you can search by the Tags, pulling up all Subscribers who have that Tag, and then selecting the button to send just to those Subscribers who have that Tag. In this example, we want to Tag 64 of our 5,676 Subscribers with the word Join. We know these are the people who came to our seminar in person. We search for the phone number of the Subscriber, and go to their profile page. We then click the edit button, and add the Tag Join. Then hit save. We do this for all 64 Subscribers. When we are ready to send a targeted Text Message to just these Subscribers, we go to the Subscribers tab inside our Textedly account, and in the search field we search for our Tag, which in this case is Join. Tip 1. 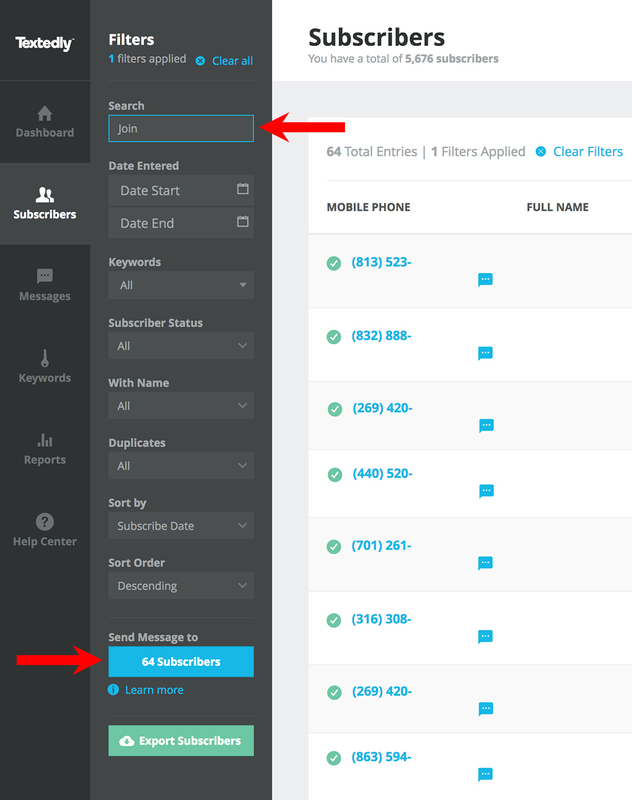 If you have a lot of Subscribers that you want to Tag, you will want to add the Tag field into your .CSV file when uploading your Subscribers, so that you don't have to add a Tag one by one to each Subscriber.